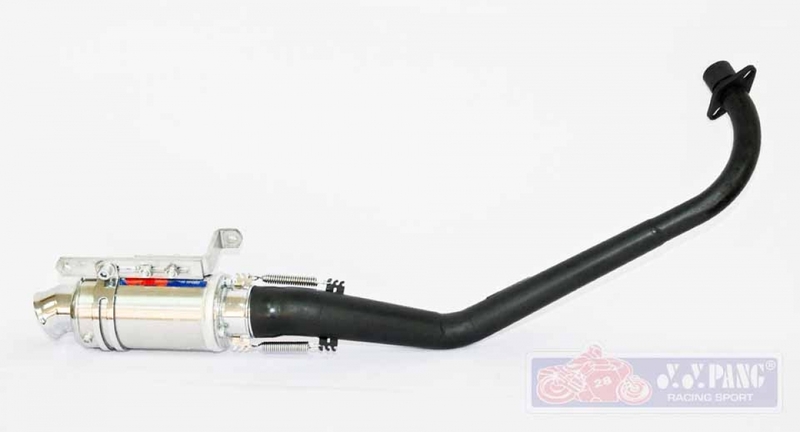 Yamaha SRL-SPR115-HI TEMP BLACK racing exhaust. Designed for circuit race use and use with YYPANG short type muffler box. In use with racing footpeg.